In the Solomon Islands, three diverse communities found themselves competing for the rich natural resources of the Arnavon Islands for food and livelihoods. As these marine resources quickly declined—including the one of the largest hawksbill sea turtle hatching areas in the world – their leaders came together with help from The Nature Conservancy to reverse this trajectory. This community-based conservation project attracted national, regional and global attention and illustrates the ripple effect of a targeted investment in a site and in local leadership and institutions. The Arnavon Islands were once a haven for hawksbill sea turtles, but with the arrival of Westerners in the mid 19th century, the turtles became a highly-prized commodity and their populations were increasingly exploited. The resettlement of Micronesian communities to the Solomon Islands in the mid 20th century exacerbated the problem, depleting resources their Melanesian neighbors had long relied on for sustenance. In response, the Solomon Islands’ government declared the Arnavon Islands a hawksbill sanctuary, and the communities that long relied on the area’s marine resources no longer had access to the fish and other resources vital to their health, livelihoods, and well- being. In protest, a young man from one of the communities set fire to the government’s ranger station, prompting the government to abandon the sanctuary, and the exploitation continued. Hoping to halt the resource depletion, Chief Leslie enlisted the help of The Nature Conservancy in the early 1990s. Peter Thomas, a veteran of conservation in the Pacific who was familiar with the failed sanctuary, accepted the invitation, and he and Chief Leslie embarked on a much more inclusive conservation effort. They started by engaging the communities from Choiseul and Santa Isabel Provinces who rely on the marine resources of the Arnavon Islands. Ultimately, representatives from all the communities worked together to establish and develop a management plan for the Arnavon Community Marine Conservation Area (ACMCA). They also built a ranger station for Community Conservation Officers who promote compliance with ACMCA guidelines, including fishing and harvesting restrictions, through monitoring and enforcement. In fact, the fire-starter was a founding member of the new community-based project, demonstrating the powerful effect of engaging the community and understanding and addressing their concerns. The Conservancy supported the community effort, providing technical assistance, nurturing the development of community enterprises to provide sustainable livelihoods, and helping to secure funding for long-term management. A decade after the ACMCA was established, biological surveys showed the area thriving again with an abundance of giant clams, trochus, sea cucumbers, and blacklip and goldlip pearl oysters. Hawksbill turtle populations were also recovering. After two decades, surveys confirmed a 200 percent increase in the number of hawksbill nests laid in the Arnavon Islands. 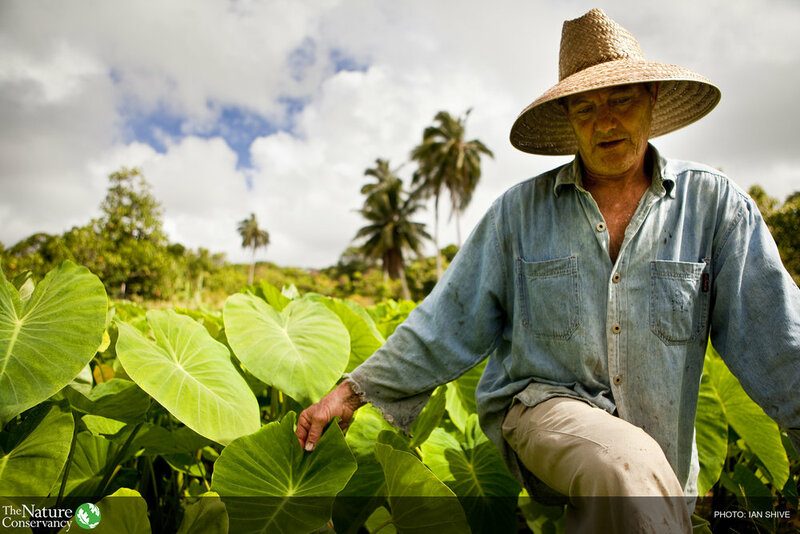 Socio‐economic surveys showed ACMCA communities had more diverse and nutritional diets, since fishing and harvesting restrictions prompted an increase in vegetable farming, and twice the cash incomes of neighboring communities, which provided for better housing and a greater percentage of children attending school. Community members also reported improved governance and social cohesion, leading to an increase in intercommunity activities and a greater sense of belonging and safety—a notable achievement given the significant physical and cultural distance between the ACMCA’s Melanesian and Micronesian communities. In recognition of its achievements, the ACMCA was awarded an Equator Prize in 2008. Chief Leslie shared this experience with the Lauru Land Conference of Tribal Community, an organization he founded decades earlier which convenes Lauru (Choiseul Province) clans and tribal institutions. Seeing the biological and socio-economic benefits of this community-based approach, more than 100 chiefs unanimously supported establishment of a community-based network of protected areas stretching from their forests to their coral reefs in 2009, including at least one marine and one terrestrial protected area within each ward. The Lauru plan was so well received it prompted a national Protected Area Act and a request for Conservancy assistance in developing the Solomon Islands National Biodiversity Strategy and Action Plan. The national plan, presented at the UN Convention on Biological Diversity meeting in 2010, reflects the Solomon Islands commitment to global conservation goals and its contribution to the Coral Triangle Initiative (CTI) on Coral Reefs, Fisheries and Food Security, a regional collaboration to protect the rich coastal resources of Indonesia, Malaysia, the Philippines, Papua New Guinea, the Solomon Islands, and Timor Leste. The Lauru approach is a testament to the power of traditional networks built on cultural and tribal connections, such as clans and languages. These tribal networks have many intrinsic factors that make them much more likely to be successful than those created around arbitrary government boundaries. 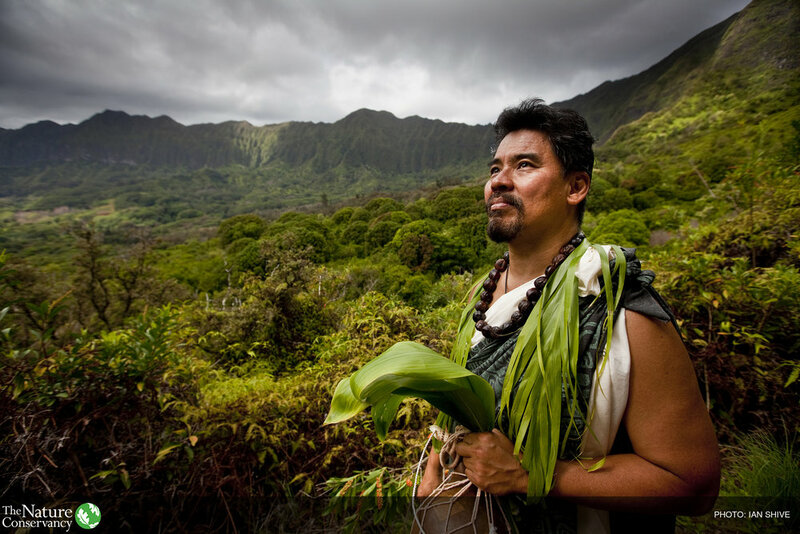 Inspired by his experiences with the Lauru tribal network, the Conservancy’s Manuai Matawai introduced this approach in Papua New Guinea, where communities are the traditional owners of more than 95 percent of the nation’s natural resources. He worked with Dr. Pongie Kitchawen, a fellow native of Manus Province, to establish the Mwanus E Ndras Asi Tribal Network. The network links eight tribal areas whose Titan communities all share a common language, religion, and ethnic identity. The communities have customary tenure over 2.4 million hectares along the southern coast of Manus island, most of which is in the sea, and they have developed a management plan for the entire area. Following their example, the north coast of Manus has started to establish a similar tribal conservation network.